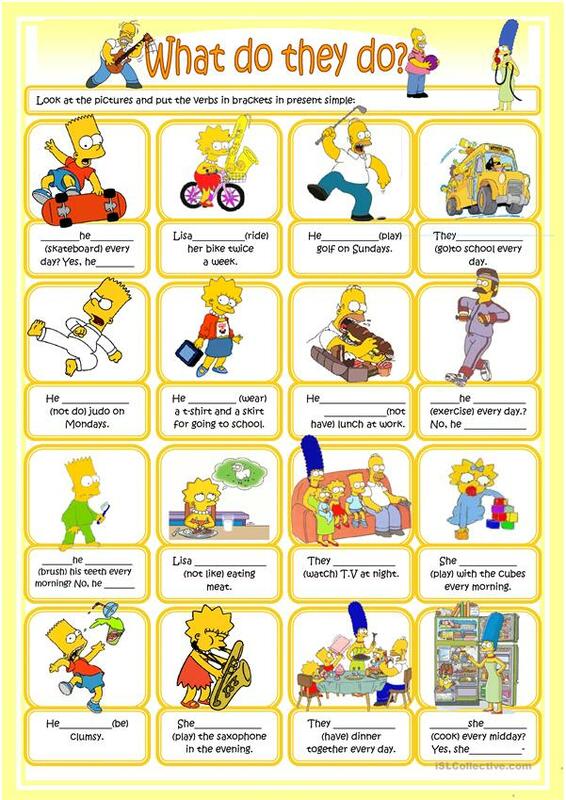 ss wrtite the sentences in affirmative, negative and interrogative with the Simpsons family. Nice for revising the present simple tense. This downloadable teaching material was created for high school students and elementary school students at Elementary (A1) and Pre-intermediate (A2) level. It is aimed at revising Present simple tense in English, and is excellent for enhancing your students' Reading and Writing skills.